Cherokee is a very fast, flexible and easy to configure Web Server. It supports the widespread technologies nowadays: FastCGI, SCGI, PHP, CGI, TLS and SSL encrypted connections, virtual hosts, authentication, on the fly encoding, load balancing, Apache compatible log files, and much more. 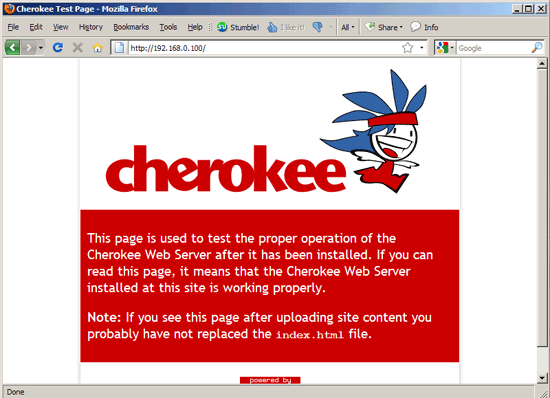 This tutorial shows how you can install Cherokee on a Fedora 11 server with PHP5 support (through FastCGI) and MySQL support. 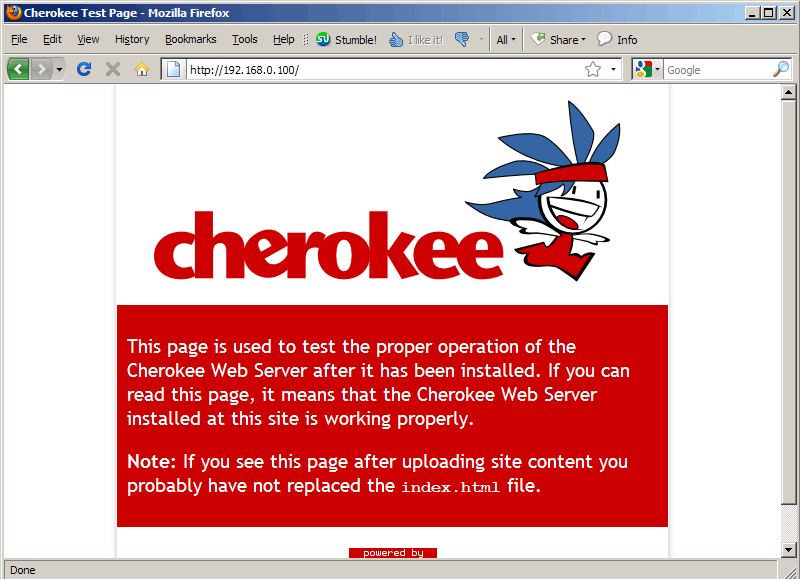 To stop cherokee-admin, type CTRL+C on the shell. 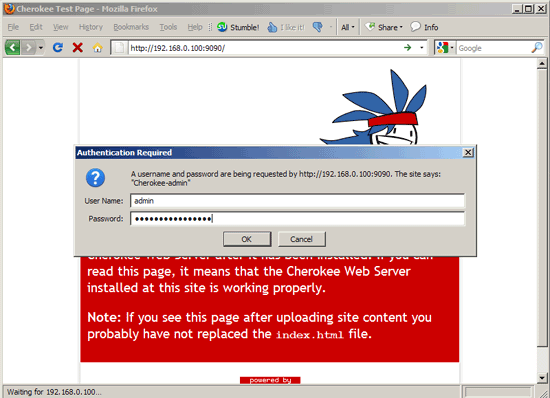 The installation configuration as shown allow external acces to directories listing and download with root privilges ! rules for limiting acces MUST be added !!! 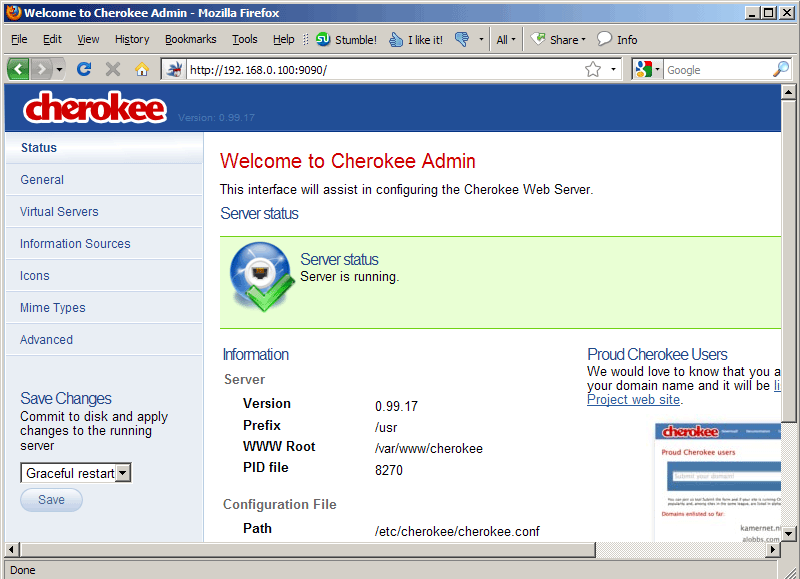 It should be also useful to run cherokee as a limited user, not as root !